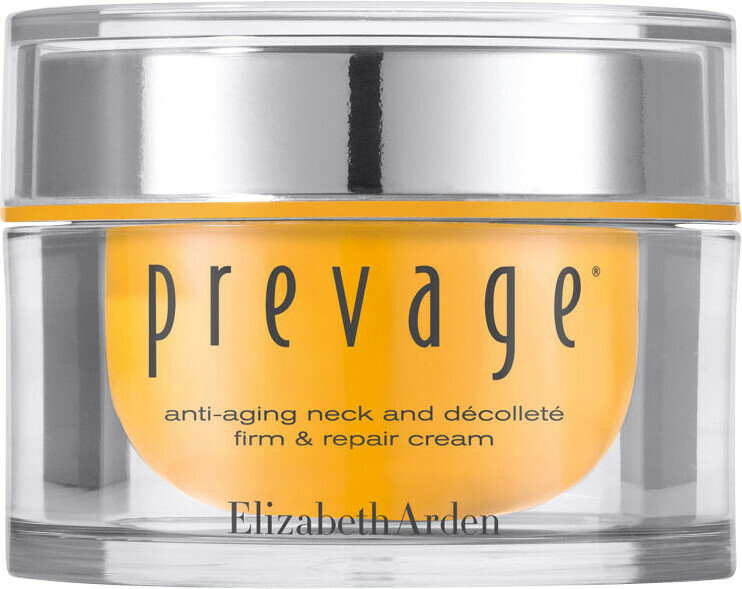 Improve and protect the appearance of the neck area with the Elizabeth Arden Prevage Anti-aging Neck and Décolleté Lift and Firm Cream. The luxurious formula contains advanced idebenone technology and a protein restoring complex that works to improve the appearance of sensitive skin on the neck and décolleté, providing an instant toning effect. 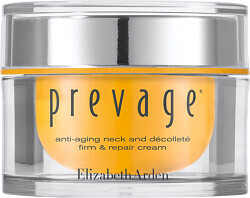 The anti-ageing cream instantly hydrates thirsty skin, reducing the visible signs of ageing, dark spots and sun damage. Apply the cream in light upward strokes to the neck and décolletage area morning and night. If you have sensitive skin, eczema or a history of allergies it’s recommended that you consult your physician before your first use of Prevage products.